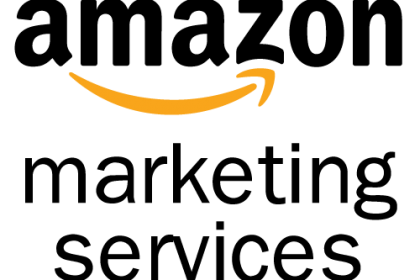 Amazon Marketing Services (AMS) are pay-per-click ads on Amazon.com for products sold on Amazon.com. Before we go any further, let us tell you why you need to keep reading… these ads have the highest ROI of any marketing dollar you can spend. Companies such as LEGO and Coca-Cola are making AMS ads a separate line item on their marketing budget, and the best part is you can get started with a very small budget. Ready to learn more? We’re going to step you through some of the basics about AMS, the different types of campaigns and other information you need to know. We will also link you to a few other resources on AMS for additional information. While AMS can be done completely in-house, we also offer AMS management services so you can take advantage of our experience to maximize your return on investment. How much do AMS pay-per-click ads cost? Amazon marketing services pay-per-click ads work in much the same way as Google AdWords. In AMS you set a maximum bid on each keyword or product where you want your ad to be displayed and the system charges you up to that maximum bid for each shopper that clicks on your ad. A typical range for most clicks is somewhere between $0.50 – $1.50 depending on the competition in the keyword or product you are bidding on. For example if you are selling a really niche product and buying keywords such as “kids halloween green dragon costume” the bid will be much lower than if you are bidding on “flat screen tv”. There are several ways to setup your campaign’s budget, but typically you would set the maximum amount you would like to spend on the campaign and the time frame for that campaign to run. You can have the system try to spread your ad buy out over that time period or to run it as fast as possible. A campaign can be setup for as little as a few hundred dollars and be increased later to higher spends as you see the high return on your investment. What are the different types of AMS ads? AMS ads are broken into three categories: Product Display Ads, Headline Search Ads, and Sponsored Product Ads. While each type of ad uses the same budgeting and bid type systems the ads are shown in different areas of the site. Product display ads are located on other product listings on Amazon. For instance if someone is viewing an LG TV listing a competitor such as Samsung may bid to have their product listing on Amazon shown on the LG product page. These ads are typically shown on the right hand side of the product listing, under the add to cart section. Product display ads can also be purchased by interest or category instead of bidding on individual products. Product display ads are highly relevant to shoppers as you can target specific competitor products. These ads link specifically to one of your products, not a custom URL, store brand page, or list of products. Headline search ads are displayed in a box above the search listings on Amazon when a user performs a keyword search. For example, when a user searches for “dryer sheets” an ad for Bounce may appear above all search listings that contains their branding and a listing of multiple Bounce products. Headline search ads are unique in that you an send the customer to a page other than a product listing. 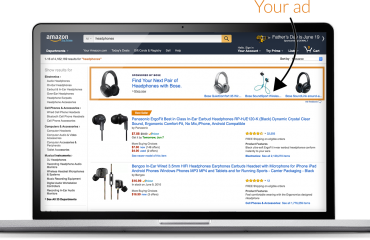 These ads can be linked to a custom page you create in Amazon such as your store brand page, a custom URL of a list of your products, or to a single ASIN. 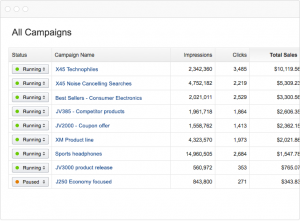 Ads are bid on by keyword using broad, phrase or exact match types. Ad content contains one logo image and images of up to three products with a very short tagline. Sponsored product ads are displayed in the search listings on Amazon when a user searches for a product. Typically the top two listings in any search are sponsored listings. Sponsored listings can also be found along the right column in a search. Ads are bid on by keyword using broad, phrase or exact match types. Ad content is a single product listing using that listing’s main image and title and the ad only clicks through to a single ASIN. What reporting is available for AMS pay-per-click ads? 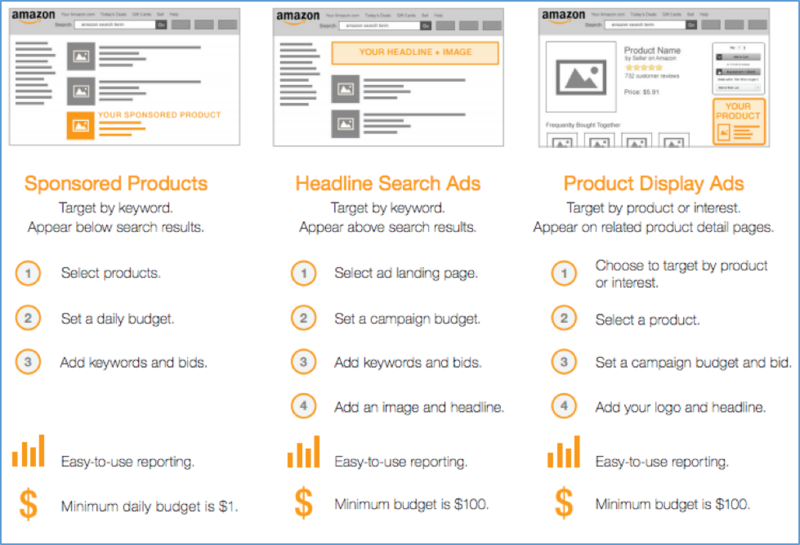 Easily tell how your ads are performing with Amazon Marketing Services reporting. A robust dashboard helps you gauge impressions, clicks, sales and more so you’ll know when to revamp creative, add or remove keywords, or adjust bids. While AMS gives you the basics you need to optimize your campaigns, it does not provide some of the data you may be used to when using other services such as Google AdWords. AMS ads are still fairly new and while Amazon has been improving their reporting systems some of the advanced data is not available. You will not be able to see data on demographics, other products they viewed or purchased after viewing your ads, and AMS date reporting on campaigns is non-existent which typically means setting up new campaigns every month for time tracking. 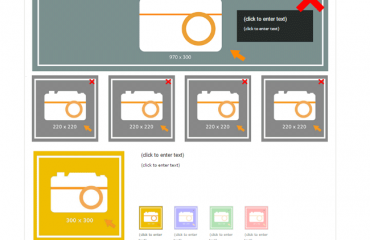 What are some tips for optimizing your AMS ads? Set Your Goals For Each Campaign – Know when setting up a campaign what your goals are for that specific ad group. Know your margins and what numbers you need to hit to make a campaign financially viable. Other campaigns may be focused on branding or launching a new product where the cost of sale may be high but will drive future organic sales by gaining reviews and rising in sales rank. Regularly Review Campaign Data – Setup a process to regularly review your campaign data to look for changes that need to be made to your ads, bids or keywords. Changes in the market or new competitors purchasing ads can drastically change your campaigns performance and need to be monitored on a consistent basis. A keyword that was profitable last week may not be this week if competitors are driving up your bids. 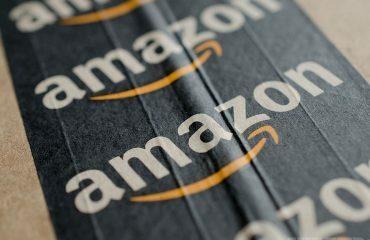 Test, Change, Test, Change – Amazon marketing services pay-per-click offers a countless number of ways to purchase ads. Continue to test new ad concepts, buy ads on new products or categories, try new things and watch the data. Maybe the product display ads you are running on your top competitor are not profitable, try testing on second and third place or moving to headline ads. The Crowner Agency offers complete Amazon Marketing Services management. 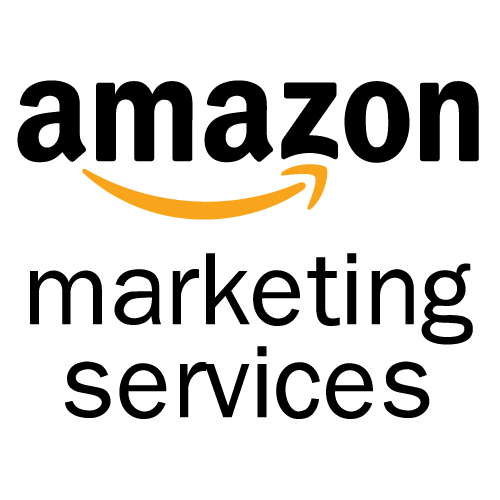 We can help you create profitable campaigns that drive your Amazon sales. Contact sales@crowneragency.com to learn more.